Weiser's latest occult curio is another of the William Walker Atkinson collection. 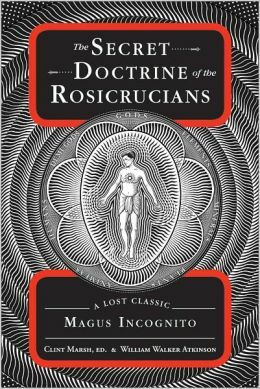 In this case, Atkinson – under the guise of Magus Incognito - relates all the open secrets of the Rosicrucians. Between the pages lie juicy concepts long since sprouted into new concepts in New Age and occult movements. Along with an especially interesting analysis of the souls of the gods, he shares some knowledge about (now debunked) Lemuria, philosophy on the mechanics of life after death and the Rosicrucians theory on the composition of the physical body. Another source work/curio, Secret Doctrine has its place in history as one of the first books released published on Rosicrucianism. The book is well edited, well laid out and has a delightful introduction. For those who wish to dig deep into the history of a ceremonial tradition, this book is worth the read.